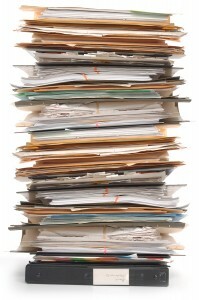 There are plenty of reasons to turn your paper documents into digital format. But what if you actually want to keep some of your paperwork in actual paper form? Every person and company have different needs, and depending on what you are looking into, keeping paper documents on hand may just benefit you more than digital files would. Whether you are looking at saving pictures, or business documents, only you know exactly what you need and you should follow exactly what you feel is right. It is always a good idea to back up your paper documents into digital form just in case anything were ever to happen to your paper copies, but that doesn’t mean that you need to get rid of your documents. It is always smart to keep paper copies around of some things like insurance paperwork, loan information, or if you are in a business, your employees information. It’s just nice to know that if you want to look up some information you can just pull it out of your filing cabinet and not have to worry about printing out any new pages. And when it comes to things like insurance paperwork, you want to keep that on hand at all times anyways. If you ever feel like you want to keep something in paper form as opposed to digital format, just know that you ultimately choose exactly what you want when it comes to your records. There is usually a balance to strike between digitizing your files and keeping them in paper format. If you are interested in transferring some or all of your records to a digital format, Record Nations can help! Call us at (866) 385-3706 or fill out the form on the right for free quotes on document scanning services near you.